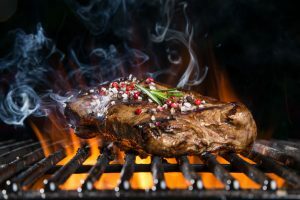 Are you a fan of grilled food? 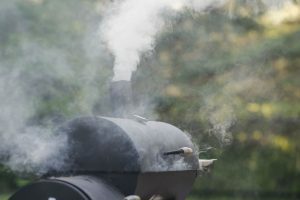 Do you like the smoky flavor and taste in your veggies and meat? Are you a fan of cooking food standing in your patio area or backyard? If you are in awe with food and love cookouts, then the best grill that will help in making cooking a breeze is the George Foreman GGR50B Grill. This is a very compact and attractive looking grill that will fit in any place perfectly. The best part is that this grill can be used indoors as well as outdoors. If you are worried about using a grill that is difficult to maintain like the charcoal or the gas grills, then George Foreman GGR50B electric grill offers you a no-fuss outdoor cooking experience. The grill is convenient and easy to use that it can be set up on a pedestal or can be placed on any countertop. 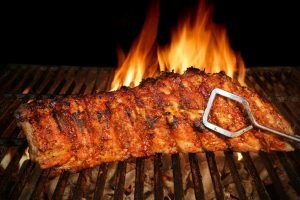 As it is an electric grill, there will be very less smoke that the machine lets out, even if you are cooking fatty food. The unit uses electric heat to cook food and comes with an adjustable temperature setting from low to high to cook all kinds of food. 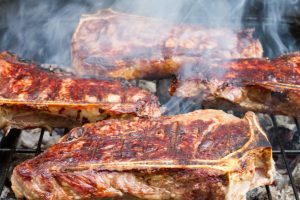 The following are the features of the George Foreman GGR50B electric grill that make it one of the most popular choices among cookout enthusiasts. 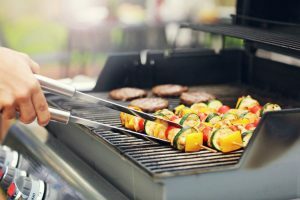 If you are looking for an affordable no-fuss and non-messy electric grill for your indoor and outdoor space, then George Foreman GGR50B griller is a very good option. It offers you great value for money and with a cooking space of over 200 square inches; it can easily prepare 15 burgers at a time. This machine can be used all the year round and hence is a better choice than the traditional gas and coal grills. Moreover, it comes with apartment approval and hence can be used indoors without any worries. This unit offers you a cheaper alternative to the costly gas grills and will not produce smoke like the other traditional grills. 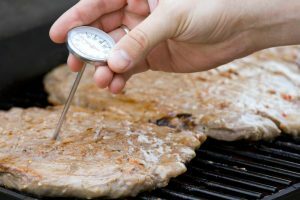 The electric grill plate gets heated up very quickly and with 5 different temperature settings, you can grill anything from veggies to steaks evenly. 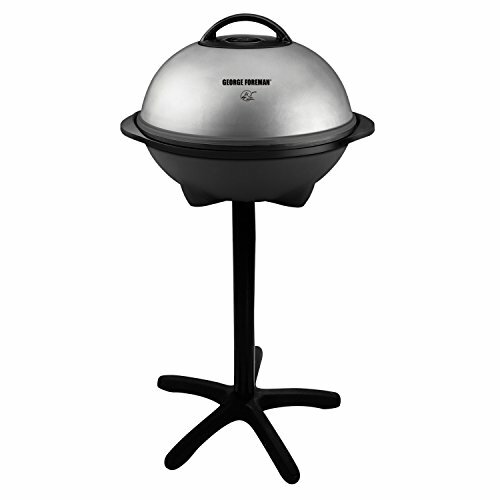 With options like tilted grill plate, easy to remove and clean grill plate, low profile countertop stand, detachable stand for outdoor use and many more features, the George Foreman GGR50B grill is a winner all the way for anyone looking for affordable and easy to use and clean electric grills. 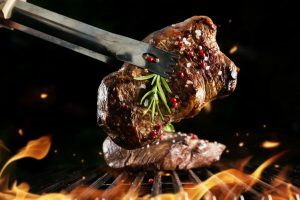 If you want to know the true performance and quality of the George Foreman GGR50B Grill, it has to be compared with two other popular outdoor/indoor electric grills. The Excelvan 1350W Electric BBQ Grill is a compact looking grill that has features like nonstick aluminum grill plate, 5 temperature settings, 23 inches round grilling surface, 1350 watt power capacity, two types of grill plates with ribbed griddle and flat plate and sloping drainage holes. The main drawback in this grill is that the grill plate cannot be removed and hence you cannot efficiently clean the plates. This is a big advantage that George Foreman GGR50B grill machine offers and other features are all more or less very similar. The Cuisinart Grid-180SAL Indoor/Outdoor Grill, Black is another popular grill unit that comes with griddle cooking plate and a nonstick grill. The cooking plate can be removed and cleaned in a dishwasher. 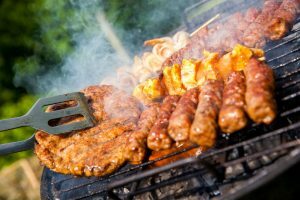 It has a cooking surface of 180 square inches and is a rectangular shaped grill. The George Foreman GGR50B grill comes with over 200 square inches of cooking space and hence suits large outdoor cooking needs and its plate is round in shape. There is also a sloped grill plate to remove excess fat that is not a feature of Cuisinart 180SAL indoor grill. The George Foreman GGR50B electric grill meets all the needs of an outdoor or indoor grill unit. It is affordable, compact and very efficient in its operation. 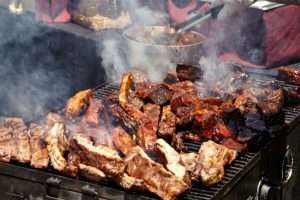 The machine will cook meat and even ribs perfectly so that the flavors are all intact in the food. The cleanup of this unit is very easy as the plate can be removed from the machine. It is dishwasher safe and is much easier to use and cleaner than the costly charcoal and gas grills. The sloped grate base ensures that about 425 of the fat from the meat are drained away. This way you get to eat tasty and healthy food devoid of excess fat. The product carries an apartment approval as well as is made to suit North American electric standards. It is a very good choice for patios, apartment balconies or even your backyard space. The George Foreman GGR50B grill machine can cook food fast for about 15 people at one go and hence it is a very good choice among cookout enthusiasts and partying people. With features like nonstick grill surface, 3-year limited warranty, variable temperature control, domed lid, drip tray and attractive look, the George Foreman GGR50B is a clear cut winner among electric grills.